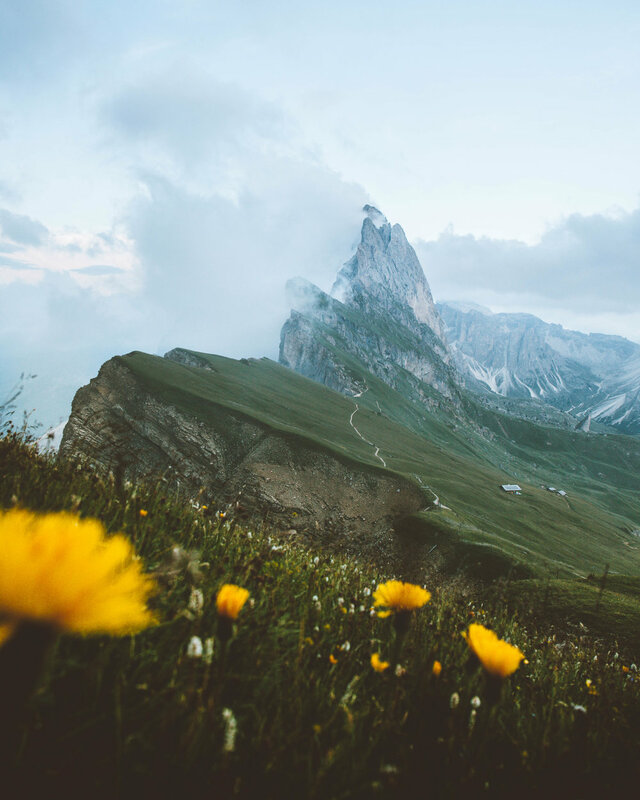 I was searching the web the other day and I honestly couldn't really find any good blog posts or recommendations on places to visit in the Dolomites. As I am getting plenty of DM's on my Instagram every single day about it, I thought I would share some of my favourite places here on my website. So without further ado, let's dive right in! Okay, let's start with the classics. This one probably is THE classic of the classics. 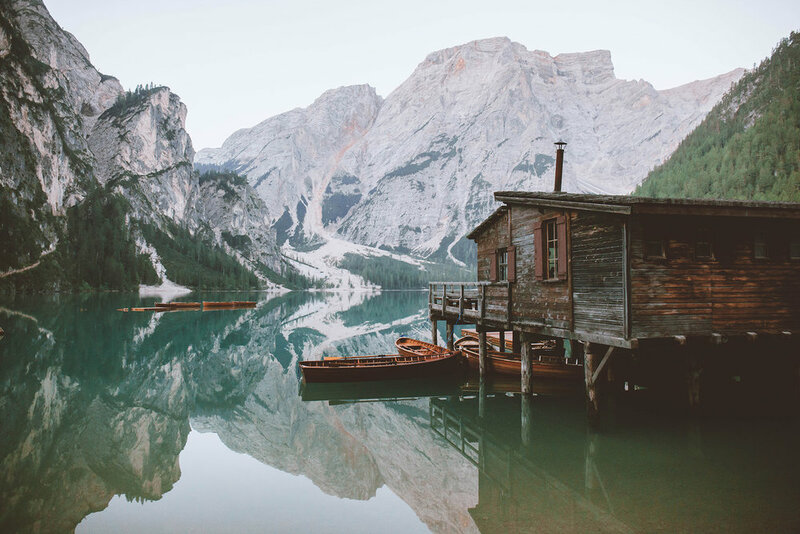 If you go to Paris you probably should visit the Eifel Tower, so if you go to the Dolomites you should visit the Lago di Braies! If this place is not familiar to you then you probably haven't been on Instagram for that long. The lake has a reputation as the "Lago di Insta" because of its fame on Instagram over the last few years. 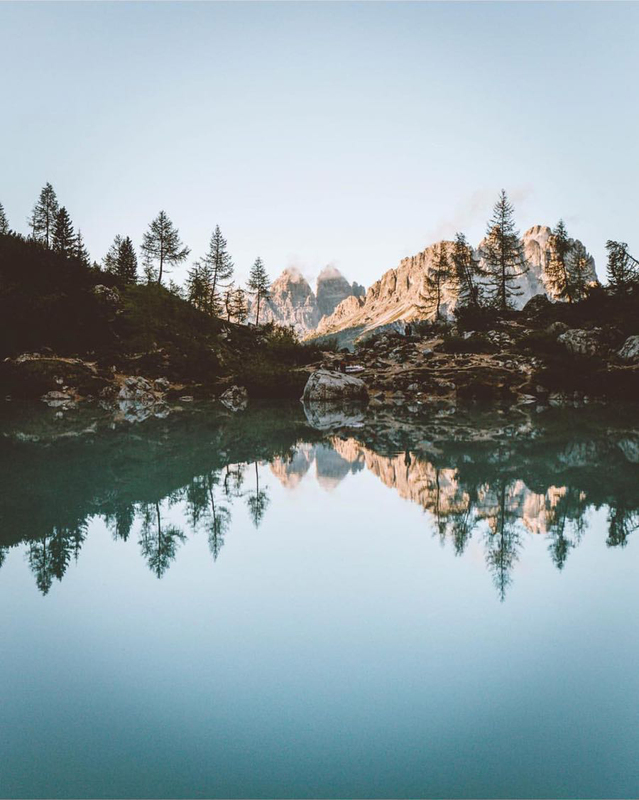 It is one of the largest and deepest natural lakes in the Dolomites and it is not hard to see why it is loved among many photographers and outdoor enthusiasts. In fact, thousands of people from all over visit this place every single day! Most of the pictures you see online, including mine, are taken in the early morning hours. But even if you wake up early, don’t expect to be alone. You will be in good company of early bird photographers catching the first light and the perfect reflection on the water’s surface. From 10 AM to 5 PM (beginning of June until late September) you can rent a boat. The price for renting is 15,00 € for 1/2 hour and 25,00 € for 1 hour. It’s definitely worth the visit because the pictures don't do justice to this amazing place. This is one of my favourite sunrise spots and the place where I took some of my favourite photos this past year. A very important thing you should know before you go, the road on Alpe di Siusi is not open for public, you need a permit to drive there and if you get caught without, you will have a 150€ fine. You can get permit if you are the owner of one of the cabins or are staying at one of the hotels nearby. However, to avoid the fine leave your car at the Kompatsch parking lot and walk for about 30-45 min to the spot. The hike is very easy and most of the time you will simply walk on a flat road. To have the best view, follow the road that will take you to the ADLER Lodge Alpe or the Malga Sanon. There are so many cute cabins you can shoot, you will never run out of subjects! I have been here so many times and every time it feels different and new! The plateau of Seceda is considered one of the most photogenic locations in the Dolomites. To reach this spot there are two possibilities. One is to hike for about 2 hours. The hike is pretty steep but worth it. You can leave your car at the start of the hike at Praplan Parking lot. The other option is to take the cable car from Ortisei. It is 15€ one way (30€ return). Once you arrive at the top station you only have to walk for 5-10 minutes to reach the view of the Geisler Peaks. The opening hours for the cable car are from 09.30-16.30 (July, August & early September) and 8.30-17.30 in June & October. Also it is worth visiting in winter because the Seceda actually is also a ski resort! This probably is the most iconic place with the most remarkable peaks in the Alps! To have access to the parking, you have to pay 30€ (per car) maybe more if you go with your camper (YES, you can camp at the parking lot). It definitely is worth the money as the hike is very easy and the views are incredible. It takes about 1,5-2 hours to hike to the Rifugio Locatelli to get the best view on the peaks. Since the front line between Italy and Austria during World War I ran through the Tre Cime peaks, there are a number of fortifications, trenches, tunnels, iron ladders, and commemorative plaques in the area. Near the parking lot, where you start the hike, you will probably notice some incredible peaks that you have maybe seen on IG or/and on my feed. When I uploaded my shot I got so many messages of people asking where these peaks are and I thought I would share it in this blog post. Basically the spot is only a 30-40 min walk from the car park (don't walk to the direction of the Locatelli rifugio). However, the spot is pretty easy to find so just open your eyes. You can't miss it if you keep walking into the direction of these remarkable peaks. Park your car at the Passo Tre Croci then look out for the sign *215. You will walk for about 2 hours. It can get a bit dodgy as the path is along an edge without fence. There is a rope to hold on to. However, make sure to go early in the morning or late in the evening, as it is one of those spots that get very, very crowded during the day! Another stunning lake in the Dolomites, this one has emerald green water. It is known to be a sunrise spot, but is also a great sunset spot! In winter, however, the “Fairytale Dolomite Lake” is frozen and covered by snow, which is very impressing. There is no hiking to get to this spot and you can even park the car right next to it! 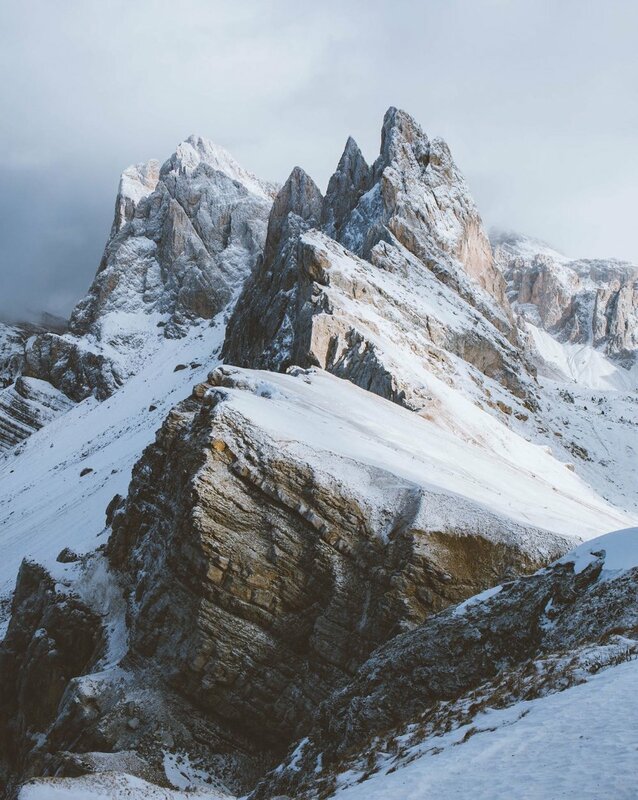 The Vajolet towers are six summits in the Dolomites in Val di Fassa, Italy. A very popular ferrata (Ferrata Santner) leads close to their base. 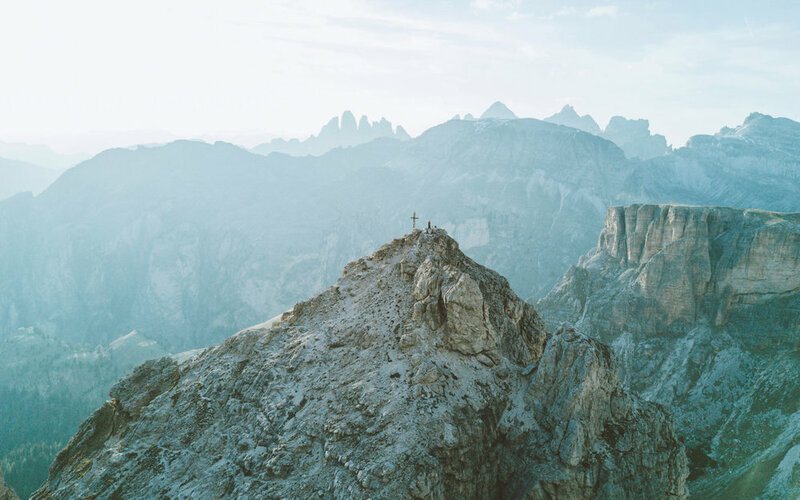 This and their beauty attracts thousands of tourists each year, as well as a lot of serious climbers again making the Vaiolet towers the most climbed peaks in the Dolomites. The Vajolet Towers can be reached from both sides of the Catinaccio / Rosengarten Group. The eastern side is the more convenient because you can hike or drive (by taxi) up the Vajolet Valley to Rifugio Gardeccia, which is the best starting point for any exploration of the group. These mountain passes are some of my favourites roads to drive in the Dolomites. They are very close to my hometown, Val Gardena. Fun fact, I actually practiced a lot for my driving license up there. I often take my car and go for a spontaneous sunset mission, as it is so convenient and only 20 min drive from my house. In my opinion, the best time to visit the Dolomites is in June/July as there are not many people around yet. August is the busiest. The best time for the fall colours is in September to October. You can go in early November if you want to catch the first snow. A lot of hotels in the Dolomites only operate during the summer season (June-early October) and the winter season (December- early April). If you are coming off season you will definitely find yourself with less people but you will also have a struggle to find accommodation and open restaurants. I hope this little blog post was helpful. Make sure to follow my adventures on Instagram @giuligartner! Enjoy the outdoors!